Can you imagine the therapeutic sound of water trickling down over natural stone? 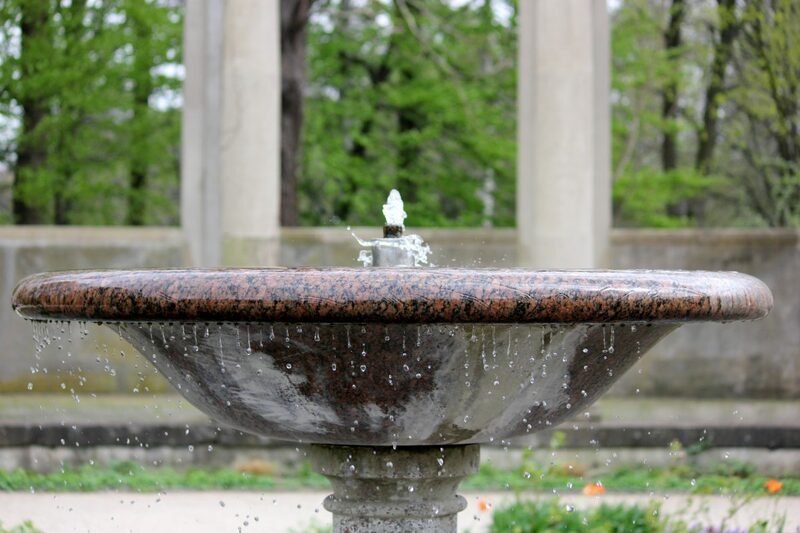 In the Green Industry, water features can refer to fountains, ponds, waterfalls, steams, and other outdoor elements. Of course, the natural beauty of a lush green landscape is exquisite on its own, but the addition of a water feature can integrate seamlessly, and often become the focal point of the design. At J. Michael, we will design, maintain, and install water features to beautifully complement the existing landscape at your residential or commercial property. The team at Landscaping By J. Michael would love to create, install, and maintain a beautiful waterscape for your home or business. Waterfalls are not only a stunning addition to your property’s landscape, but water features can also prove to enhance your lifestyle by providing stress relief and relaxation. Of course, the sight of a waterfall in your very own backyard may appear lavish and exotic, but with today’s advancement in filters and construction techniques, our team can deliver your own personal low-maintenance getaway at an affordable price. Whether you already have every detail in mind, or you’ve just started thinking about adding water features to your property, our team can work with you to custom-design a plan that will encourage everyone to get outdoors. Try to imagine the sunlight as it shimmers onto a natural body of water. J. Michael’s team wants to recreate this vision in your own backyard. The professionals at J. Michael possess the artistry, craftsmanship, and skills needed to custom design and install water features, such as ponds, streams, and water gardens, for both homes and businesses. How about adding life to your waterscape? Small marine animals, such as goldfish, work well in Koi Ponds, so long as they have clean water, algae, and food. Another, even more affordable, option is to incorporate pond plants! Water lettuce is a popular floating plant, as are water lilies. Regardless of the type of property, you should have the option to fully enjoy its outdoor space throughout the seasons. We know you have a lot of questions, and after over 30 years in the industry, J. Michael has answers. Let us transform your outdoor area into a beautiful, sustainable oasis.